As someone that often carries around a portable battery or two when on-the-go for extended periods of time (because I don’t particularly like the added bulk of using a battery case), this new MagicMount product from Scosche looks very interesting. 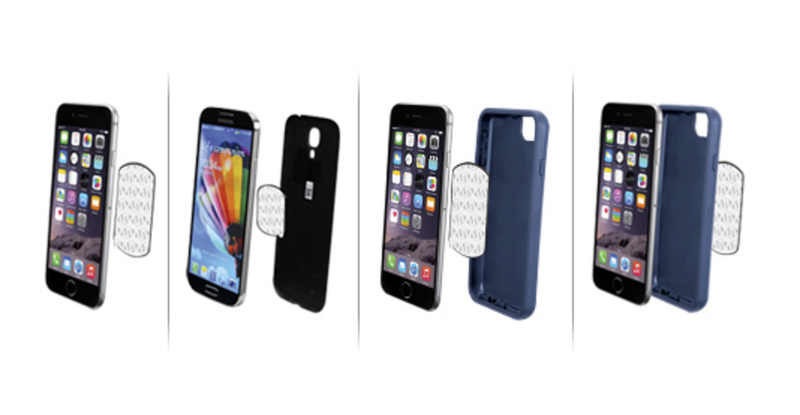 A super slim magnetic pad goes on your iPhone, and the battery pack then magnetically attaches to it when needed and connects to your device over a built-in Lightning connector. That gives you the benefits of a battery case by having the portable battery attached to the device, but also allows you to easily remove it once you’ve added enough juice to your device. The battery pack includes a 4000mAh rechargeable lithium-ion battery and 2.1A output, which should get you around two full charges on your iPhone 6 or 6s. In the box you’ll get MagicPlates, a small pad with earth magnets that allow the battery pack to connect to your device magnetically. And you’ll also of course get the battery pack itself with the built-in Lightning connector, as well as a micro-USB cable that’s used to charge the battery. You can buy it for $59.99 from the company’s website now.